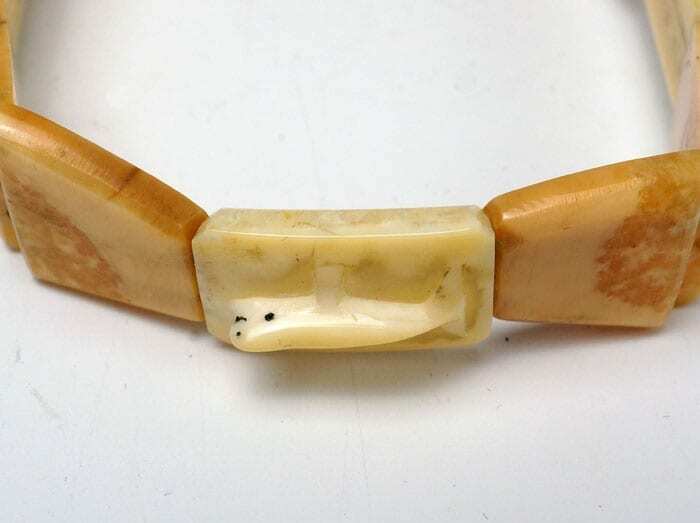 This is the most delicate carved ivory bracelet we have seen. The whales are carved in bas relief on the fresh walrus tusk discs. 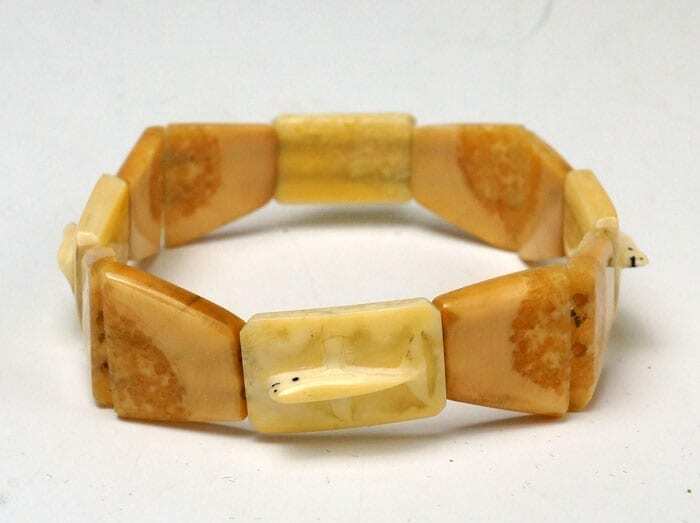 It came out of a collection of a gentleman who lived in Alaska around 1950, so it was made late in the 2nd quarter or early in the 3rd quarter of the 20th century. The bracelet is 9/16 inch at the widest points. It could fit a wrist of up to 6 inches, either a child, or an adult with a narrow wrist. It is re-strung on elastic jewelry thread. 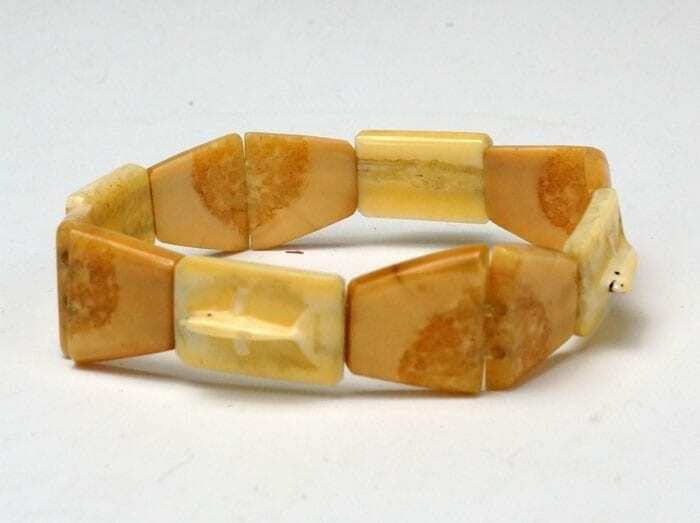 The bracelet is 9/16 inch at the widest points. It could fit a wrist of up to 6 inches, either a child, or an adult with a narrow wrist. It is re-strung on elastic jewelry material. 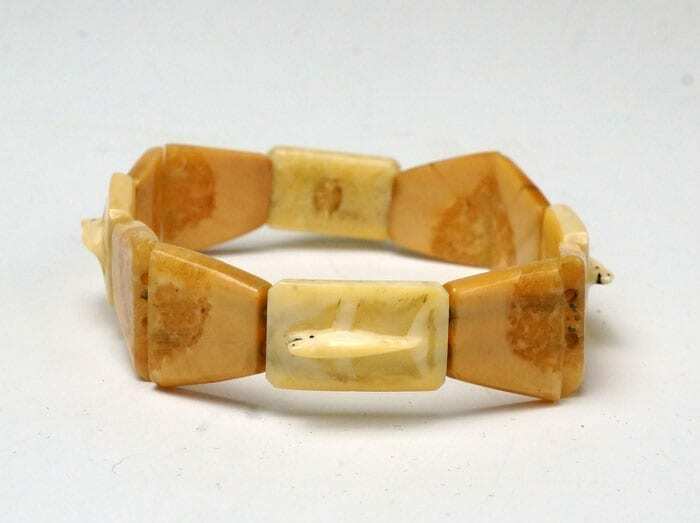 Ivory and baleen bracelet. Strung on elastic for ease of fitting over the hand. Inside circumference is approximately 6 1/4"; each tablet is approximately 5/8" at the widest. Because of marine mammal protect laws, this item can only be shipped within the United States.